Congratulations to our valued client, Mentone Girls’ Grammar School and Roslyn Holloway, who recently won the Excellence Award under the Capital Campaign or Major Gifts Program or Bequests category. This well-deserved award recognised the quality of Mentone Girls’ $1 million capital campaign. AskRIGHT Senior Consultant Jeff Buchanan provided counsel throughout the campaign. 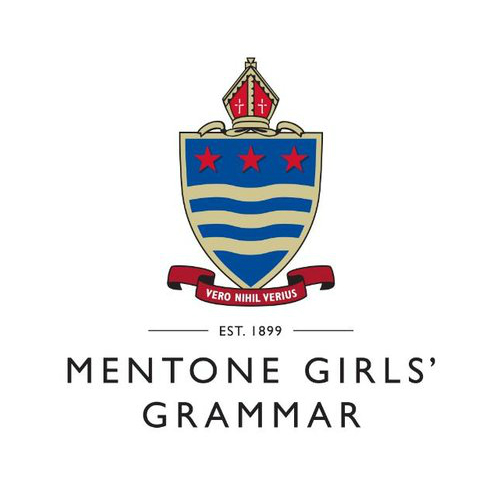 In June 2018, Mentone Girls’ Grammar School (MGGS) achieved its biggest ever Capital Campaign result, passing its $1M target for the build of a Wellbeing Precinct, comprising a new aquatic centre and outdoor playing fields. This was a historic achievement for our school community. Records showed that the only previous significant campaign occurred in the early 1990s, raising funds for an Arts Centre. Until recent years, philanthropy had been sporadic. This achievement is the product of sufficient investment, good fundraising practice and a great deal of hard work over several years. I have now lived through the important experience of how a girls’ school can invest properly in fundraising and key people can apply themselves to good practice and the disciplined execution of a campaign plan. The leadership from our Principal and the involvement of our Council and Foundation directors, other staff and key volunteers have all been crucial in achieving this wonderful outcome. A few years ago, our Principal, Mrs Fran Reddan invested in her own learning and understanding of philanthropy with visits to institutions in the UK. She was able to talk with key people about any aspect of their programs and discuss these with other fundraisers and leaders who were also on the journey to improving their programs. This gave some perspective about campaigns and the possibilities for our context. I commenced at Mentone in my role as Advancement Manager in 2015. I worked closely with our Principal, Foundation directors and a growing number of key donors to firstly explore the potential interest in key projects that we had planned for Mentone. This work steadily built better relationships and identified a broad range of donor interests that we could consider. At the same time, I began a process of improving our annual appeal, bequest program and other elements of our fundraising program. We were delighted to discover that we had a family that had the capacity and willingness to donate and we used this to build a campaign plan around their gift commitment. This gave us a great start to secure other significant gifts and position our 2017 campaign launch as a highly motivational statement to our school community. Our Principal was able to announce a target of $1 million but also declare that close to $700,000 had been donated or pledged in other support, leaving our community with various ways to rally and raise the remaining $300,000. To be clear, that is the short version! We certainly had our fair share of challenges along the way as we educated our community about philanthropy and worked with our campaign plan. I often hear comments in the debate about fundraising around girls’ schools not raising as much as boys’ schools’. I still wonder whether gender plays a role in the success of fundraising. Historically, I believe it has been easier for boys’ schools to fundraise. However, my experience with this campaign has proven it really is possible to fundraise really successfully in a girls’ school. Success is a product of the investment, effort and best practice pursued by key people at the school. Our success can be traced back to a number of key elements that began with our Principal’s leadership and the increasing determination of a growing number of key people to develop and execute the right plan for our school. Principal’s leadership and learning about fundraising. Training of staff and volunteers – staff and volunteers attended group training. I participated in training provided by EducatePlus and our School and Foundation commissioned additional training, strategic advice and coaching. Online learning (eg. webinars) was useful here. Leadership – our Principal, Foundation Chairman and others were determined to approach the task in a systematic way. At Mentone Girls’ Grammar School, we have learnt so much from this project and our community now has had a very comprehensive and positive experience of a record-breaking campaign. I look forward to our future because we now have a good base on which we can build and more donor interests that we can explore. The School was delighted to win the Award for Excellence in the Capital Campaign, Major Gifts and Bequests category at the International EducatePlus Conference in September 2018.